Ryhope CW failed to achieve a second league double of the season, drawing 1-1 in their Northern League encounter with Newton Aycliffe. Welfare conceded early when Ben Wood gave Aycliffe a lead, but James Ellis snatched a late equaliser for the home side. 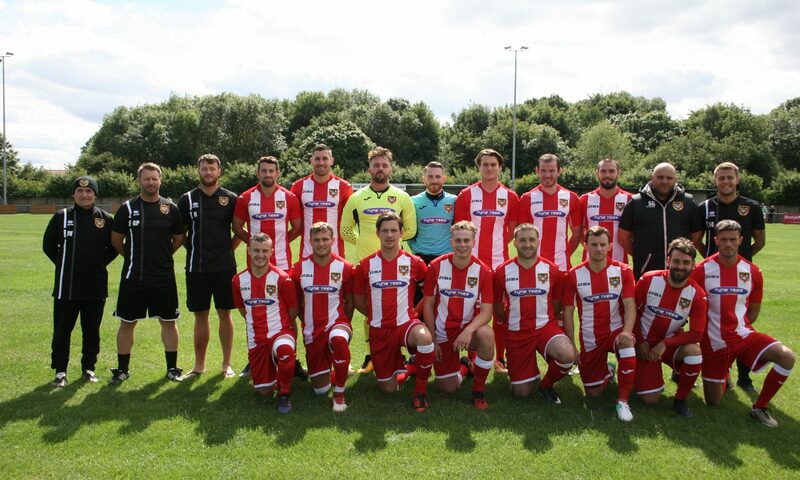 Ryhope were returning to league action after midweek’s penalty shootout victory over Billingham Synthonia in the League Cup. The match began with Ryhope CW under pressure by Newton Aycliffe FC, in the third minute Joe Atkinson tried to clear the ball at the edge of the box but Benjamin Wood lobbed the ball for Newton Aycliffe to score the opener. The away side kept the pressure building attacks on both sides Wood and Vincent Gash looking like a good attacking duo. James Ellis had a good strike which James Winter parried, Robbie Bird followed in but could only hit the post. Nicky Kane tested Winter with a header from a corner five minutes before the break. The second half began with Ryhope CW having had the wind advantage, in the 51st James Ellis had the first chance in the second half a good effort that was saved by the keeper. In the 52nd minute came the first substitution for Ryhope CW Robbie Bird was swapped for Lee Chapman. Both teams came close to scoring, Joe Atkinson saved a strike from Gash following a decent run by Gash. Micky Rae had a chance for the home side but was denied by the keeper. Both teams were at each others necks trying to score, but both teams were denied, in 80th minute Ryhope had their final substitution Carl Jones came on for Gary Shaw. In 85th Sub Carl Jones scored the Equaliser for the home team taking the score to 1-1, getting on the end of a Lee Chapman corner that was flicked on by Rae. After the goal Aycliffe took control of the game, Gash missed a certain goal when he chipped the ball over the line in the box and Joe Atkinson made a great reaction save at the death. Ryhope have a full week to prepare for another home fixture against Newcastle Benfield.